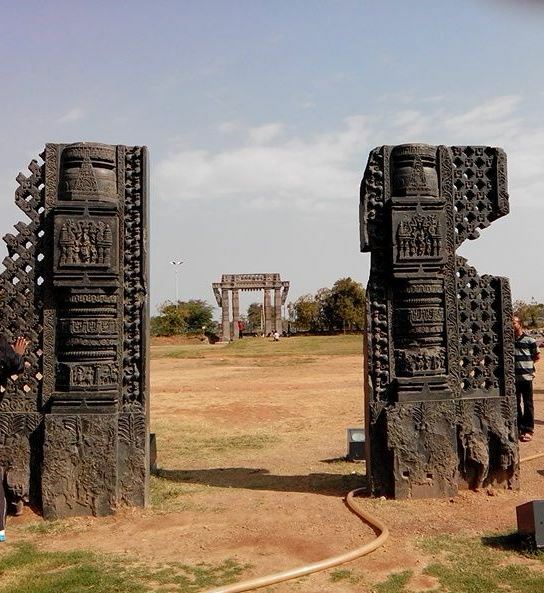 If we want a quick one day getaway from Hyderabad, Warangal offers a great trip. 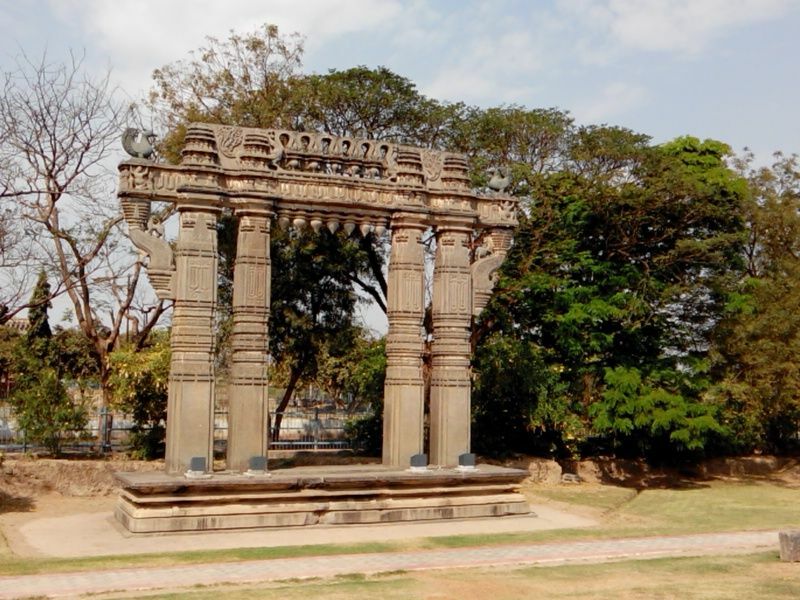 Warangal which is around 160kms from Hyderabad has temples, forts, lakes, forests and a very rich heritage in its stories. 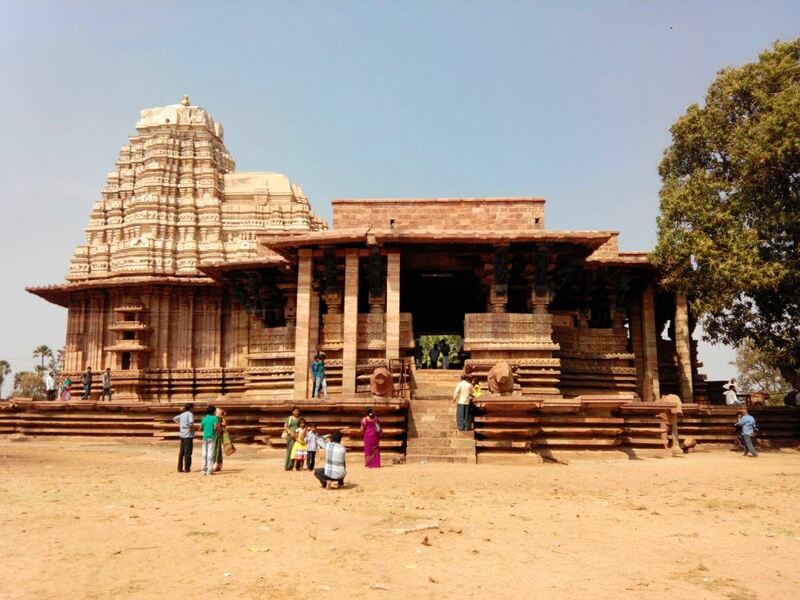 Its was a one day trip with GHAC and the plan was to see some monuments from the Kakatiya period and a few lakes plus a hike around the hills. We started off early in the morning around 6am in a hired bus. With folks catching up on some sleep, some introductions and games, we reached Warangal by 9am. Had some breakfast and proceeded to 1000 pillars temple which was our first stop. 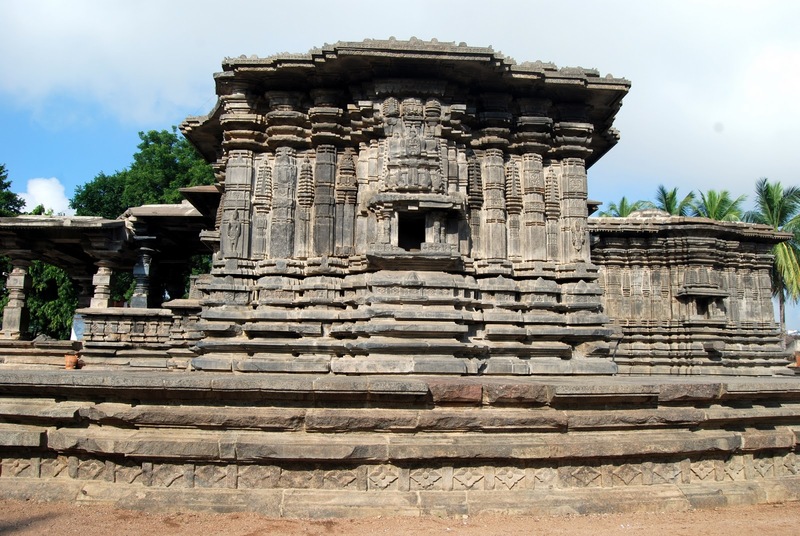 The Thousand Pillar Temple is one of the very famous temples and from its name has 1000 pillars. It is said that no pillar obstructs a person at any point to see the god in the temple. The temple was destroyed by the Tughlaq dynasty, but the restoration is in progress to re install all the pillars. The part where the pillars stand, was closed for the public and we were allowed to just see them from a distance but the temple was open. When asked the workers, they said 990 pillars were already restored. 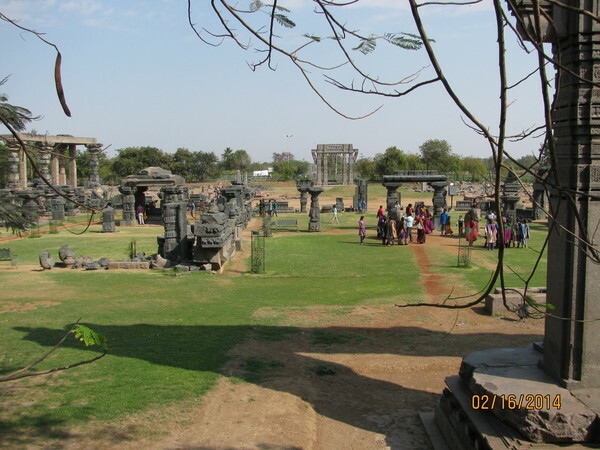 We went around the site, took some pictures and then moved to our next destination which was the Warangal fort. Warangal fort, though was destroyed as well, the remains of what was left and found have been showcased in a big ground. It has some beautiful carvings, structures which will make you wonder how great the architecture was in those times. The fort is surrounded by huge gates which mark as the symbol to this historic location. The Rani Mahal is next to the fort which can be visited. One of the Warangal Fort Gates. Next we went to the famous Ramappa temple which was around 70kms from Warangal. 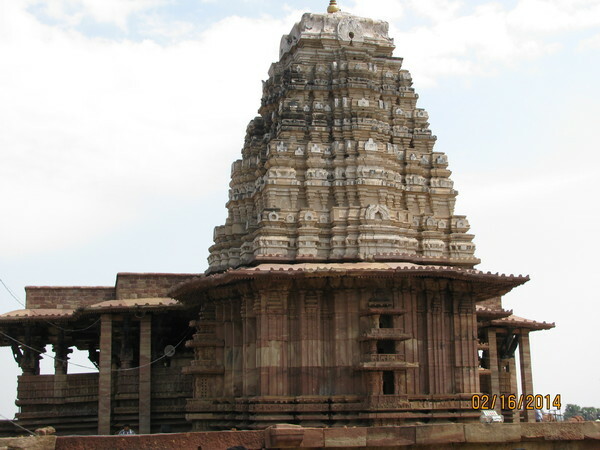 Named after the sculptor Ramappa, it is the only temple in the world named after its sculptor. The history says that it took 40 years to build this temple and seeing the temple you will definitely see why.It is filled with beautiful carvings, pillars, ceiling full of sculpted figures from Hindu mythology. The roof of the temple is built with bricks, which are so light that they are said to float on water. 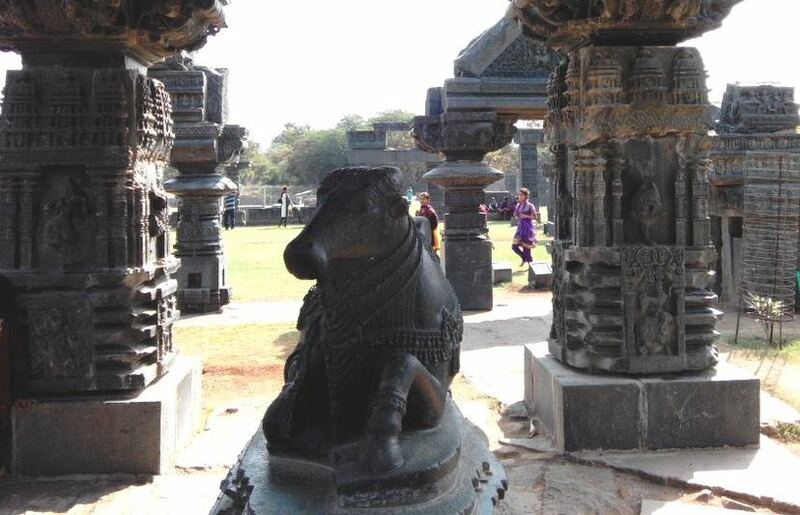 There is a huge Nandi in front of the temple. The temple also has a pillar made of stone, but when you hit it, sounds like you have hit metal. If you follow telugu movies, lot of these places can be seen in the movie ‘Varsham’. As it was noon, we had our lunch near Ramappa in a small hotel which provides some basic meals. 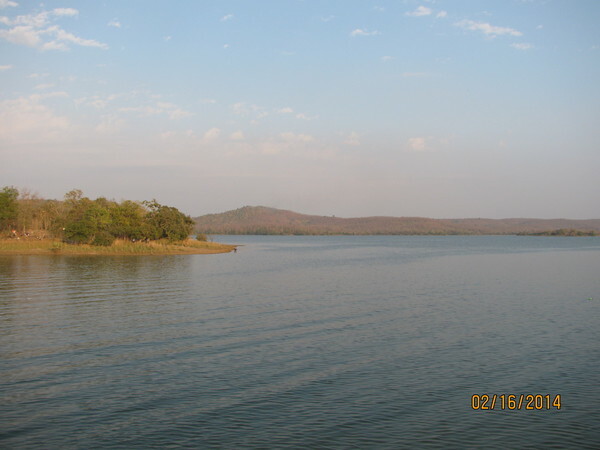 As the sun was hot, we simply drove past the Ramappa lake which is near by. After some touristy stuff now it was time to do some hiking. We proceeded to Laknavaram lake which has many small islands and is surrounded by green hills(not so green now though in summer 🙂 ). 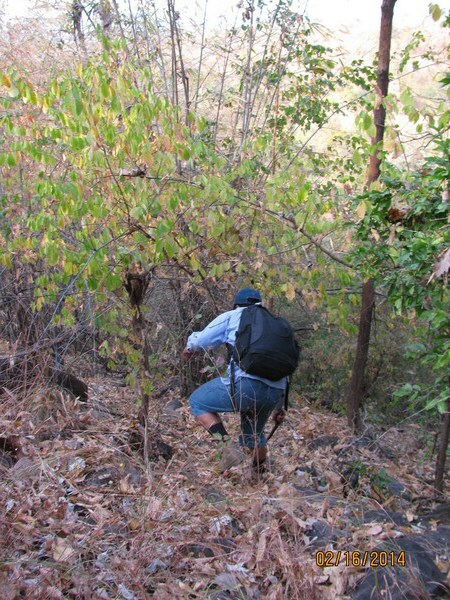 We started our hike by climbing up the hills and going through the forest. Finally into the nice forests again 🙂 . We went till the top of one of the hills, saw the view of the whole lake with its islands and then started climbing down from the other end. By the time we came down , it was time for the sunset. 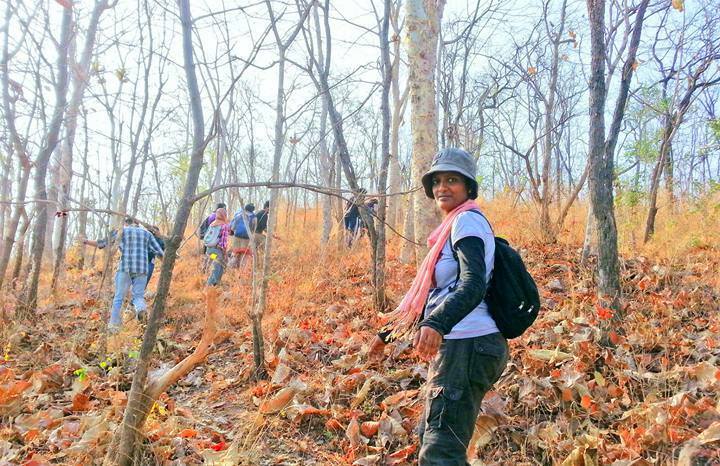 Hikking in the forest at Laknavaram. Sunset on the lake was beautiful. 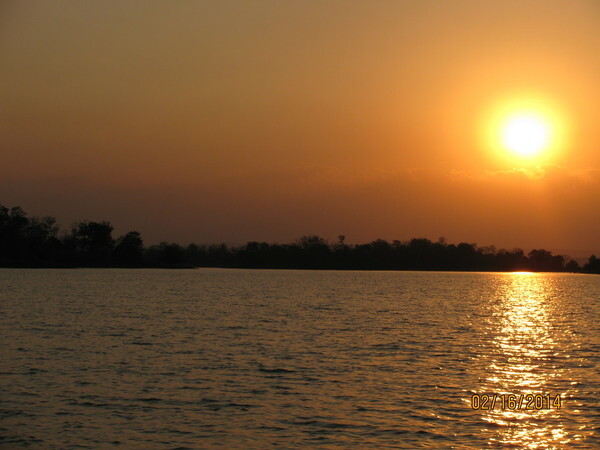 Orange sun, blue water, shades of gold along the ripples. Such sunsets generally stir up some ‘philosophical emotions’ in me 😛 . Laknavaram has a suspension bridge which connects two islands and which sways along while walking on it. We went to the island and took a boat ride to go around the lake. It was time to end the day and start back. 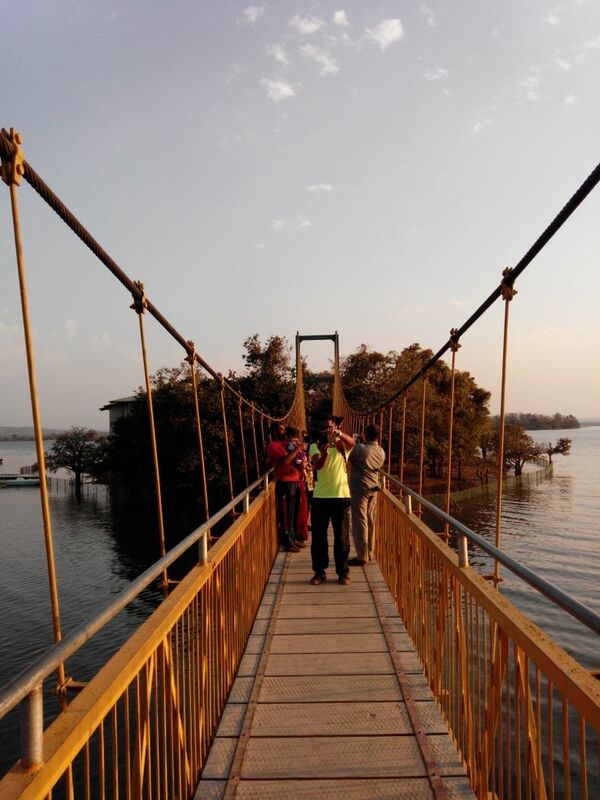 Suspension Bridge which connects 2 islands at Laknavaram lake. 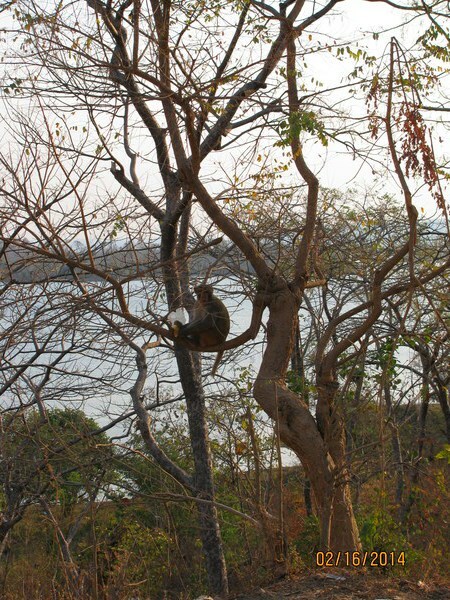 Overall it was a nice leisure trip and if someone wants a quick getaway from Hyderabad, this would make a good option.